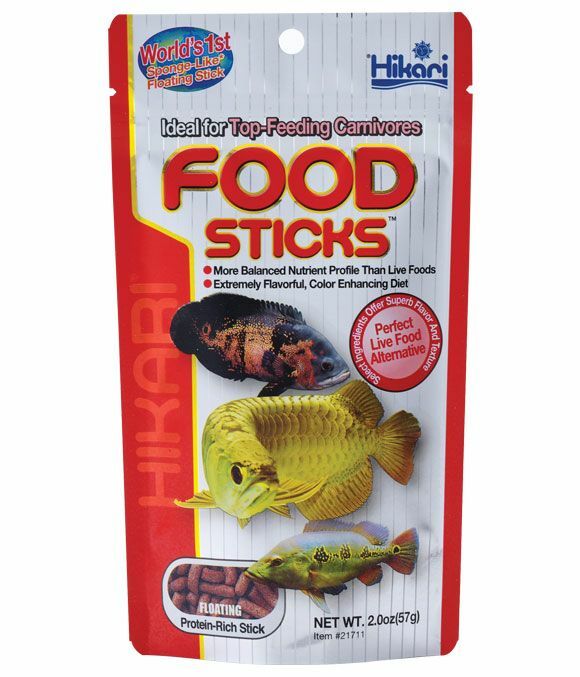 Hikari Food Sticks are a highly nutritious daily diet which promotes desirable form and rapid growth in all top feeding carnivorous fish. By feeding Food Sticks you can eliminate the need for live food which reduces the risk of bacteria or parasite infection. The highest grade of carotenoids are included to help fish maintain their vivid, natural colours. There are currently no questions for Hikari Food Sticks Fish Food - be the first to ask one!